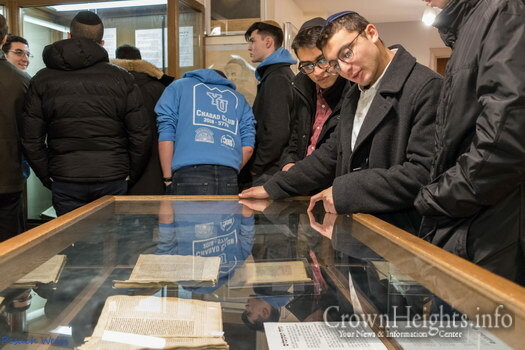 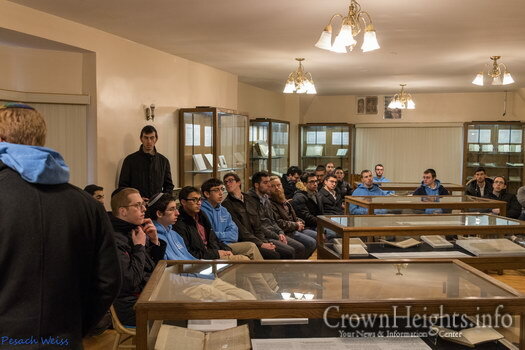 70 students from Yeshiva University enjoyed an inspiring Shabbos in Crown Heights together with their Oholei Torah chavrusas over farbrengens, meals, a grand Melava Malka, and a visit to the Rebbe’s Room, House, and library. 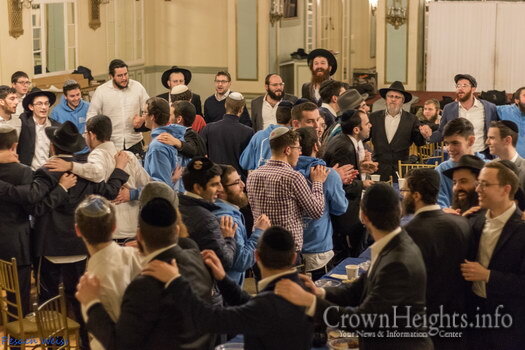 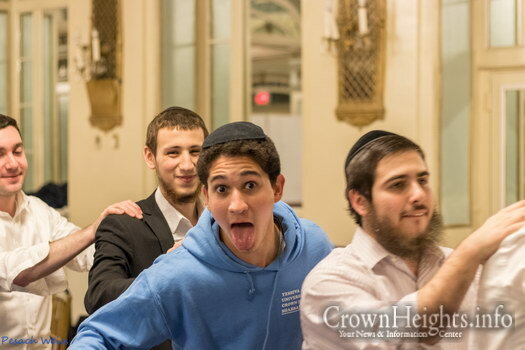 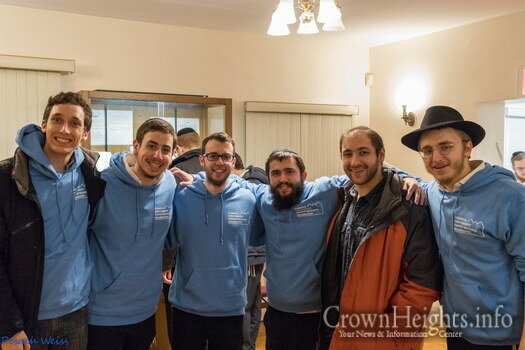 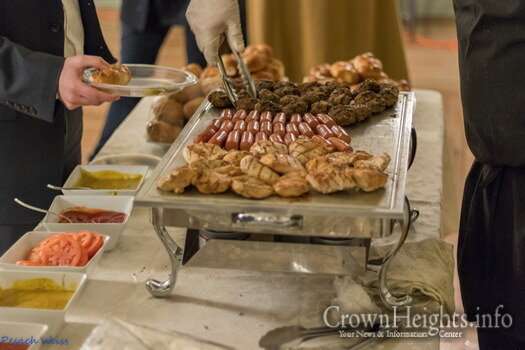 Crown Heights never takes a break, between the Kinus HaShluchos Shabbos the week before, and CTeen’s Shabbaton this coming Shabbos, the Crown Heights community hosted ChabadYU’s annual Shabbaton. 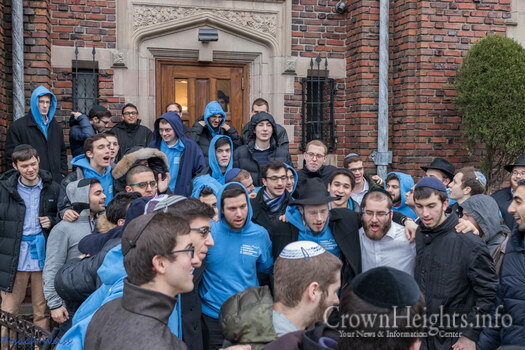 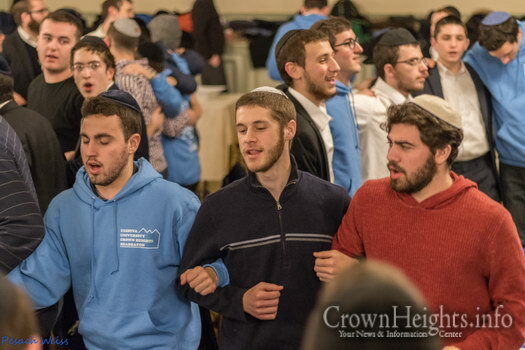 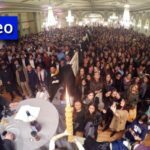 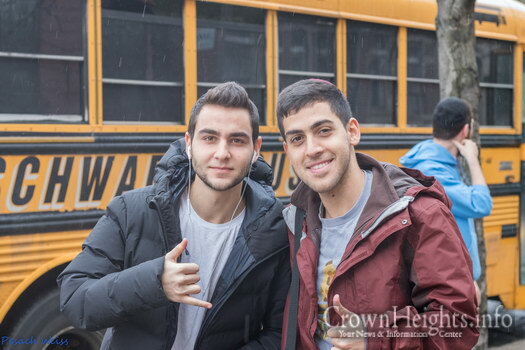 On Friday, two buses packed with nearly 75 students from Yeshiva University arrived in front of 770 for the beginning of the annual Oholei Torah-Yeshiva University Shabbaton, run by a handful of Oholei Torah bochurim. 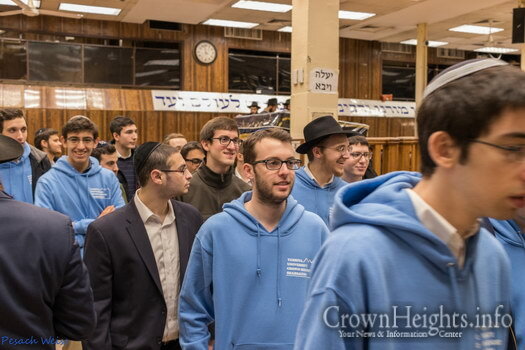 Many of the participants are members of ChabadYU and attend the Thursday night “Chassidus and Sushi” program, which attracts around 50 YU students weekly to to study chassidus together 30 Bochurim from Oholei Torah, in a beautiful display of unity. 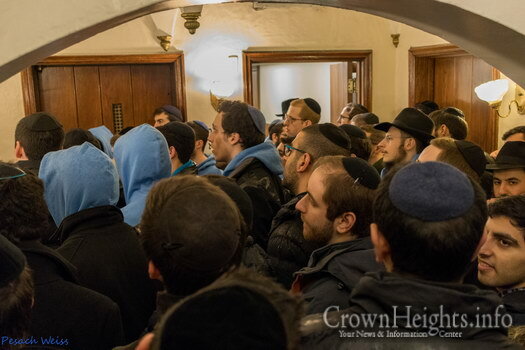 The Shabbaton did, however, draw a broader audience. 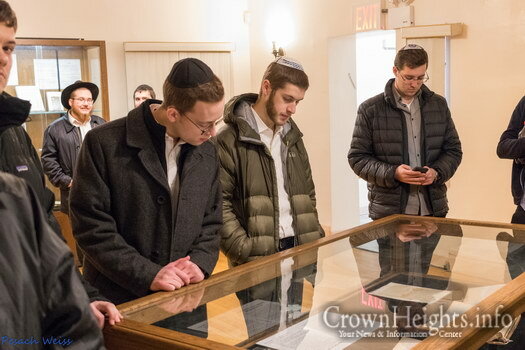 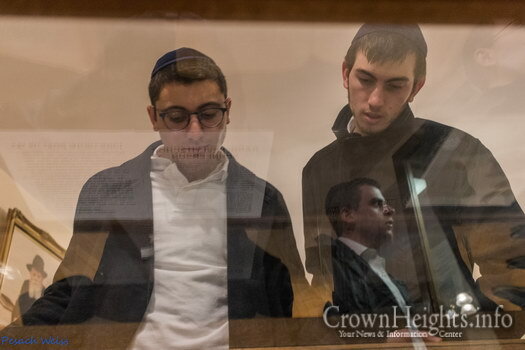 After the students enjoyed erev Shabbos farbeisen, Rabbi Yoni Katz kicked off programming with a tour of 770, giving students a glimpse of its rich history and its everlasting vibrance. 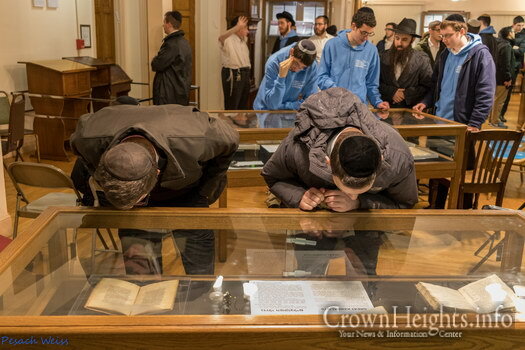 For some, this was the first time they had ever been inside 770. 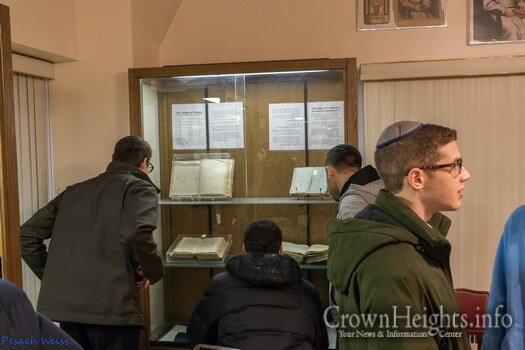 Afterwards, the Rebbe’s Chief Librarian, Rabbi Sholom Ber Levin guided students through the Rebbe’s library, allowing them to explore rare Chabad artifacts. 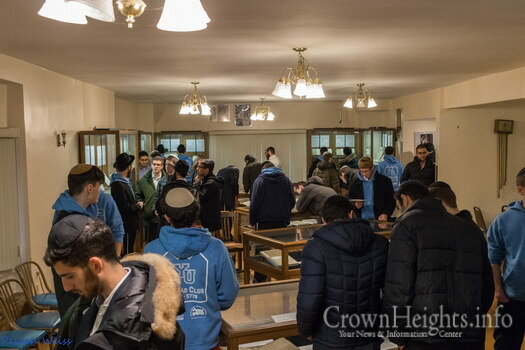 After the tour, all participants moved on to the Rebbe’s House to daven mincha, where Rabbi Yudel Krinsky chairman of Merkos L’Inyonei Chinuch and Machneh Israel addressed the students. 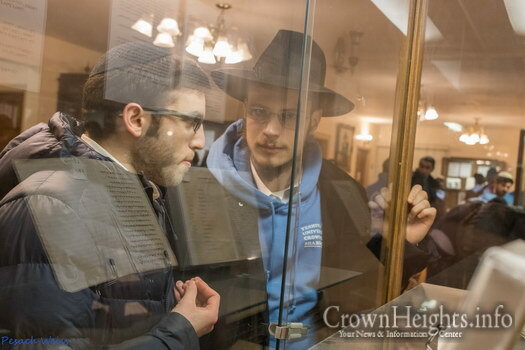 He focused on the close affinity between the Rebbe and the Rav. 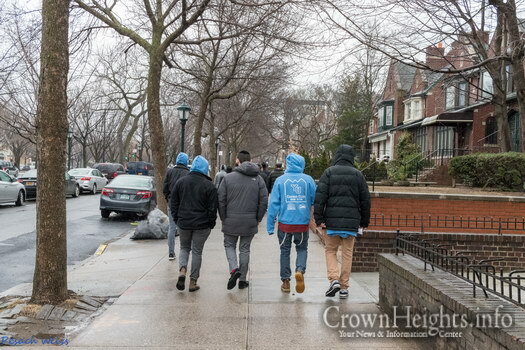 After this packed program, students scrambled to meet their hosts, among twenty-eight Crown Heights families who generously opened their homes and hearts to make the Shabbaton possible. 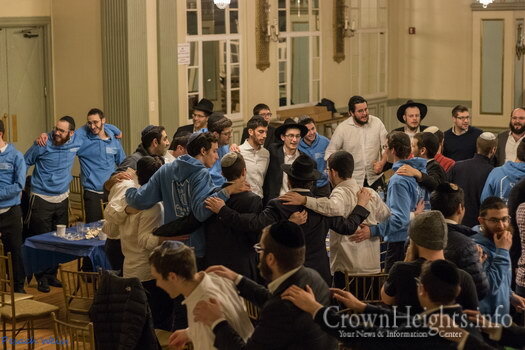 Meeting back together at Oholei Torah Zal, the students and bochurim began Shabbos with a soul-stirring Seder Niggunim, and Chassidic Mammer delivered by Oholei Torah’s Rabbi Zalman Vilenkin. 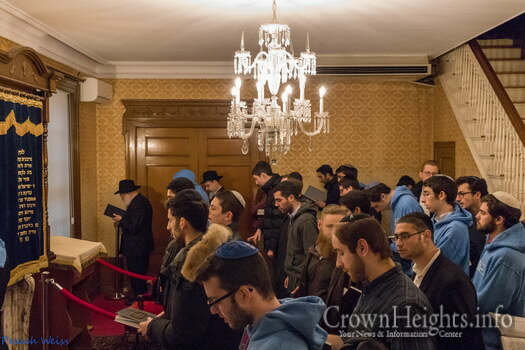 After a short seder sichos learnt b’chavrusa, everyone moved to 770 for Kabbalas Shabbos in the Rebbe’s Room. 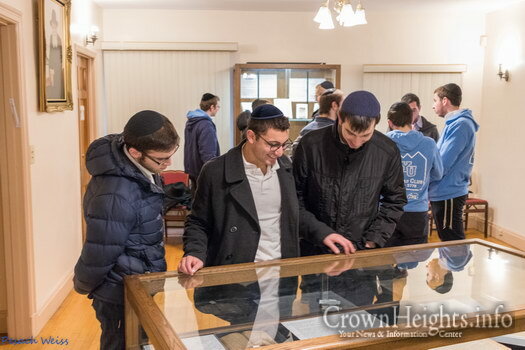 Following Friday-night meals with their gracious hosts, students sat down with Rabbi Noson Gurary a pioneering campus shliach led an electrifying farbrengen deep into the night, delving into the depth of achdus hashem, and the significance of personal avodah. 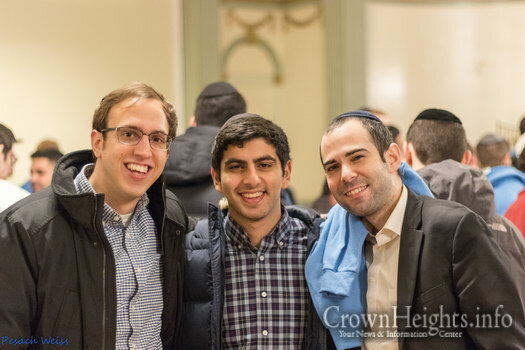 On Shabbos morning, after learning chassidus together, all davened in the Oholei Torah Ballroom, where attorney and Yale graduate, Rabbi Shaya Rochester spoke before musaf about Chabad Chassidus’ unique perspective of Dirah B’Tachtonim and Avodas HaBeirurim, and how that perspective led him to pursue a career in law. 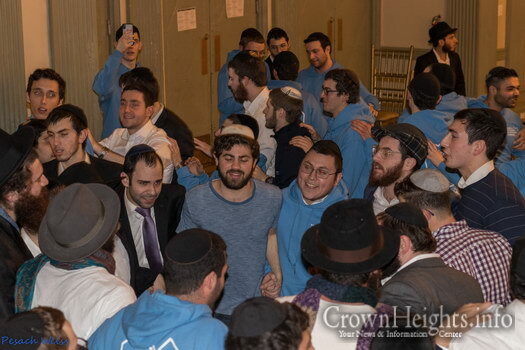 Afterwards everyone came together for a grand Shabbos lunch punctuated by lively singing and Divrei Torah from Oholei Torah and YU students – Berel Feldman and Eli Portnoy. 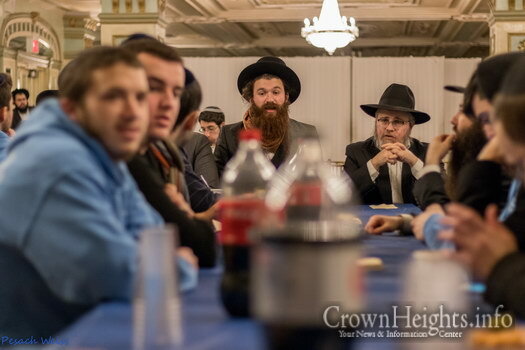 In the course of the meal Rabbi Ephraim Mintz head of JLI, offered two passionate lectures. 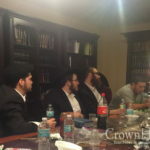 The first focused on how Parshas Trumah harmonizes the divergent perspectives of the Divine World (exemplified by Ma’amad Har Sinai in Parshas Yisro) and the physical world (exemplified by Parshas Mishpatim). 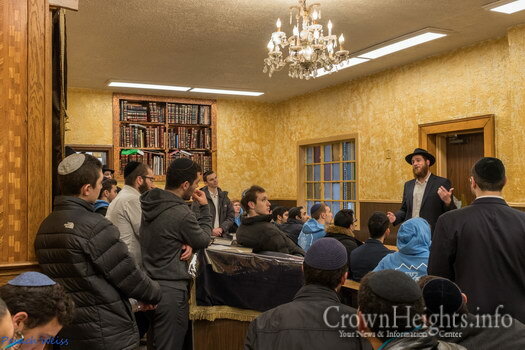 His second lecture inspiringly focused on the Rebbe’s penchant for recognizing every Jew’s boundless potential, and the Rebbe’s role in helping us recognize that potential. 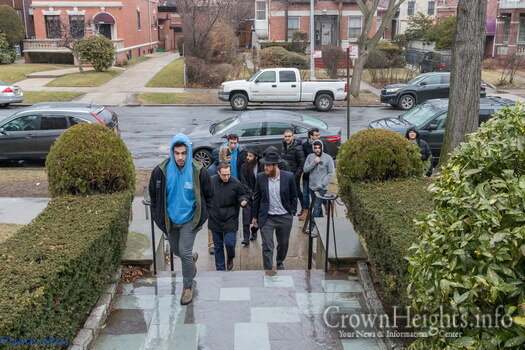 After lunch, some students took the opportunity to learn in the Oholei Torah Zal, or tour Crown Heights, while others joined a farbrengen with Oholei Torah’s Rabbi Shloime Kaplan, and engaged in spirited conversation about chassidus. 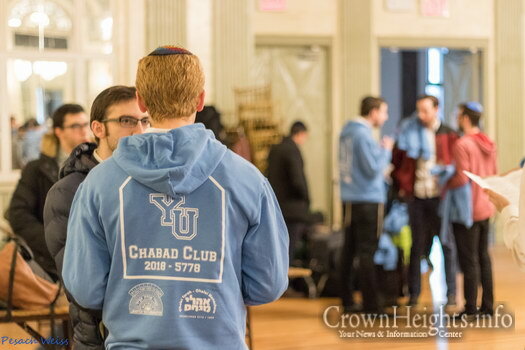 Shalosh Seudos was led by Rabbi Ephraim Piekarski (writer of tosfos-in english) who reflected on his time teaching chassidus at YU, as well as drawing on the vision of chassidus on how to achieve an holistic union of secular and divine knowledge. 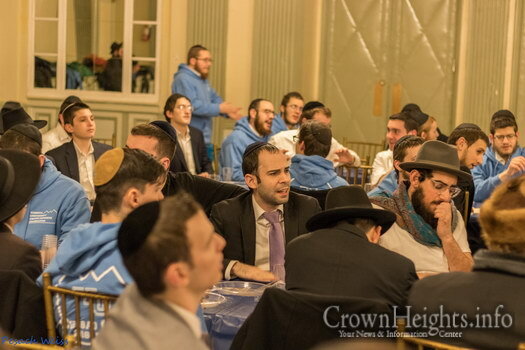 The Shabbaton concluded with a Melaveh Malkah Banquet, where Zusha’s lead singer Shlomo Gaisin intoned Chabad niggunim, and Rabbi Dovber Pinson, renowned thinker and author, renowned thinker and author, gave two talks. 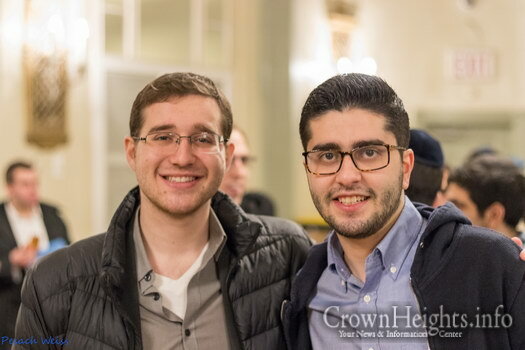 His first studied the difference between Chasidus and Mussar, and focused on how Chassidus’ mission driven approach is the key to a life filled with simchah (joy). 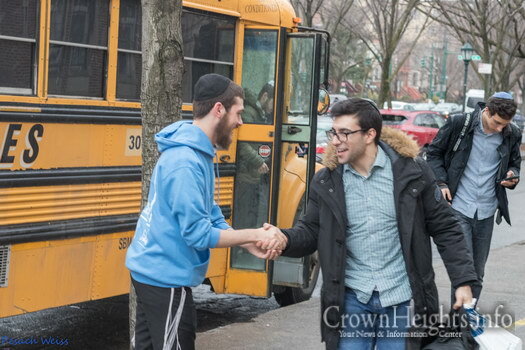 Melaveh Malkah ended with lively dancing, and as the YU students boarded the busses to return to YU, each found a maamar from the Chassidic Heritage Series on their seats as a parting gift. 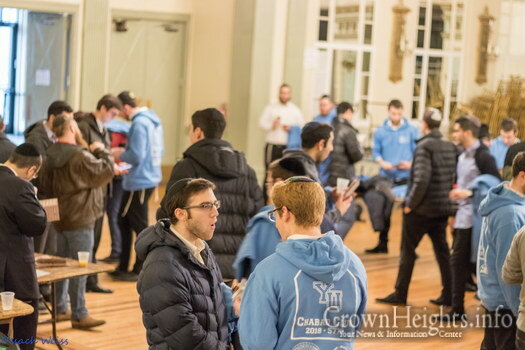 YU students offered overwhelmingly positive feedback, ecstatically discussing how much they enjoyed the Shabbaton, which is making a buzz on campus. 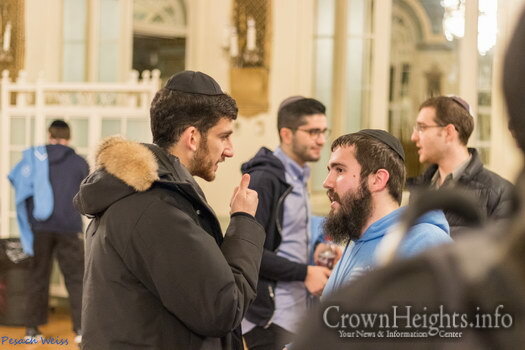 Some students reported that the Shabbaton gave them a much more complex and positive view of Chabad than they had previously had. 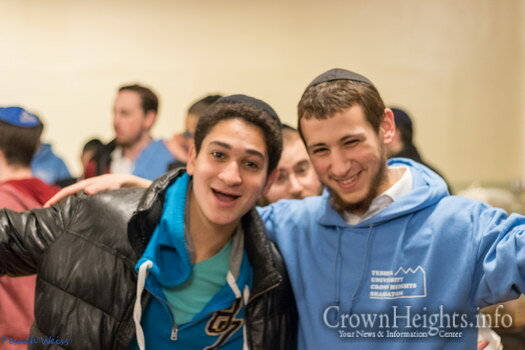 For others, it only reinforced positive feelings. 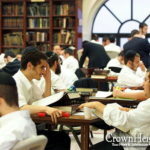 For another, it highlighted just how unique Chabad’s Derech in Avodah is, especially in contrast to Mussar. 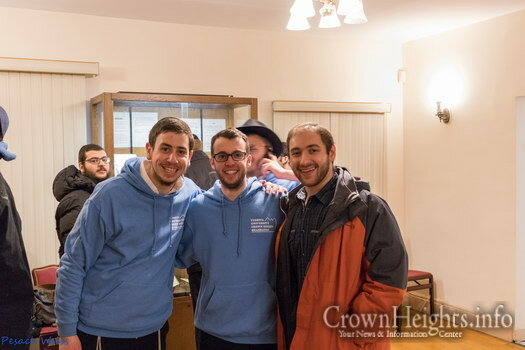 The Shabbaton’s coordinators would like to thank all of our generous donors and hosts for making the Shabbaton possible. 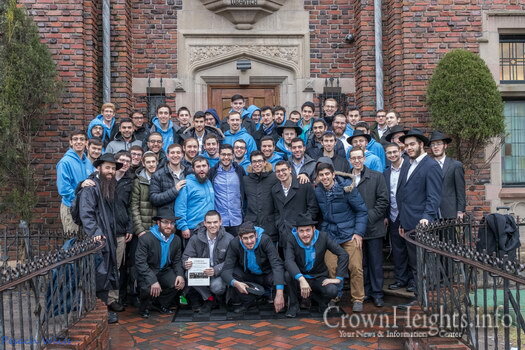 Thank you as well to Tzach and Oholei Torah. 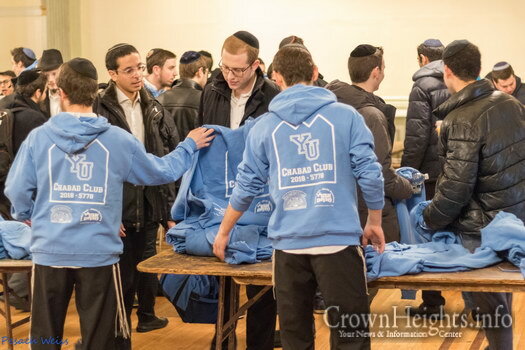 ChabadYU is a grassroots project, thus in order to help keep our weekly “Chassidus and Sushi” program going, as well as other upcoming events, such as ChabadYU’s Ohel trip, please support the ChabadYU in its vital work at Yeshiva University. 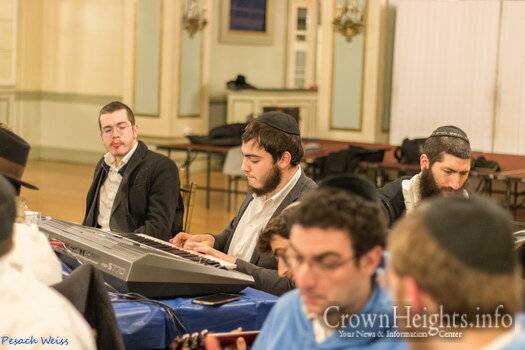 Single week sponsorships (with an option for dedications) are available. 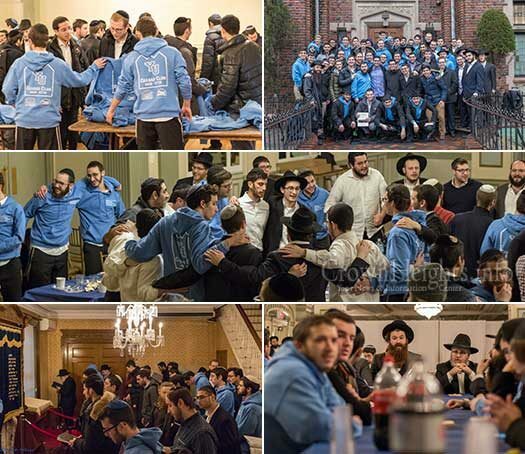 To donate https://www.youcaring.com/chabadyu , Or Paypal chabadyu5778@gmail.com. 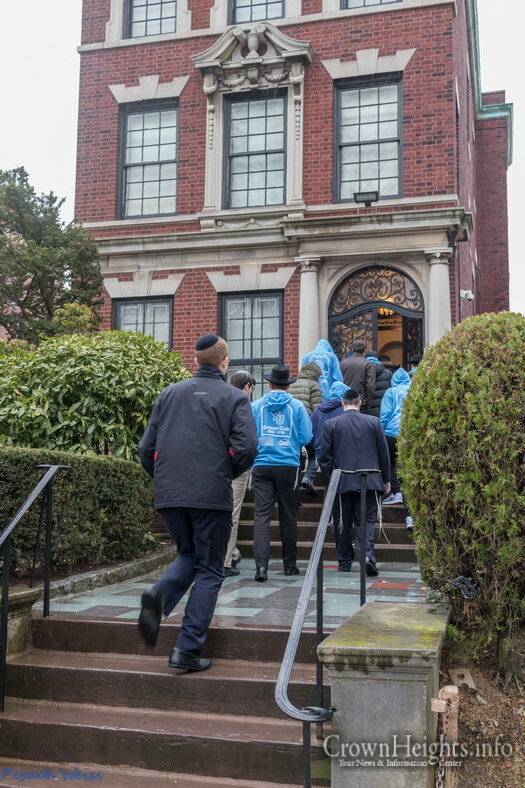 You can find us on venmo and cashapp as well – every dollar matters! 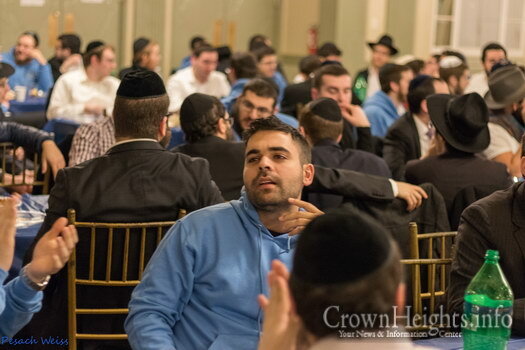 Contact chabadyu5778@gmail.com for more information.